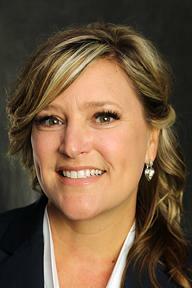 Brown succeeds Ann Haley, who was recently named the elementary education coordinator for Rutherford County Schools. Christy Brown has been named principal of John Colemon Elementary School in Smyrna, Director of Schools-Elect Bill Spurlock announced today. Brown is a veteran educator of 18 years and most recently served as the assistant principal at David Youree Elementary School. Brown has taught math, English language arts, science and served as an intervention coach. She has worked at Christiana Elementary School, Rockvale Elementary School and in Bedford County. She was named Teacher of the Year while at Christiana Elementary in 2010, and completed the school district’s Aspiring Administrators Academy two years ago. In addition, she has a master’s degree in administration and supervision from Trevecca Nazarene University in Nashville. “I would like to thank Mr. Odom and Mr. Spurlock for this wonderful opportunity,” said Brown, referring to retiring Director Schools Don Odom and Director-Elect Spurlock, who will officially become director July 1.